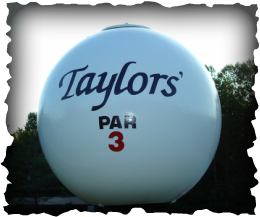 Welcome to the clubhouse and First Tee at Taylors' Par 3. We are a 9 hole golf course just north of Bloomington, Indiana. 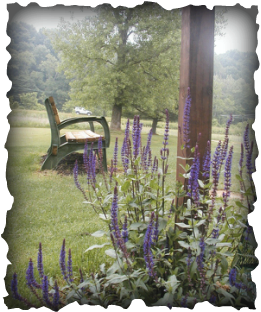 We have been open since September of 2001 but the course was built in the mid 1970's. We pride ourselves in offering the best golf for the price anywhere. At TP3 you can golf all day for a flat rate. The 1159 yard course is suitable for all ages and playing abilities. There is a practice green for chipping and putting and two practice cages for loosening up. Anyone can golf here, from the youngest junior to the oldest senior. The course is relatively flat although most of the greens are elevated and flanked by three hills. The nine hole walk around the perimeters of the golf course is roughly a mile. We offer rental pull carts and riding carts, as well as rental clubs. There are drinks, snacks, balls and tees available in the club house, and perhaps the biggest and best hot dogs in the area. The atmosphere is informal and homey. We do have a limited dress code which essentially means you need to be dressed. We ask that golfers respect the rights of others and let faster players play through. We also work hard on our greens which we believe compare in quality to those found at nicer regulation golf courses. We do ask that golfers respect them as well by repairing ball marks and not causing damage to the putting surface. We have no tee times. If you want to rent a riding cart you might want to reserve it in advance. We are open from decent weather in March until the Friday before Thanksgiving. We are open 7 days a week from 9:00 a.m. until dusk or 9:00 p.m., whichever comes first.